Happy New Year's Eve, all! 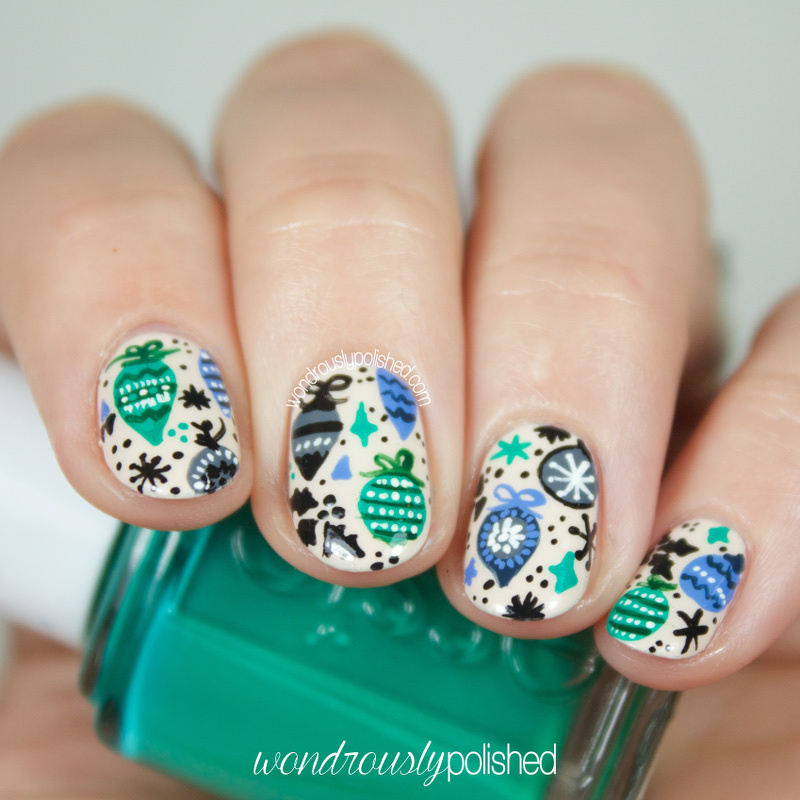 I have some beautiful polishes from the Live Love Polish shop to share with you today! They were nice enough to send along four Floss Gloss polishes and I must say, I'm of the opinion that you need all needed these shades in your life like yesterday ;) they're they lovely. For those who don't know, Floss Gloss is a cruelty free and vegan friendly polish, all wrapped up in an adorably unique bottle. I would love if they sold larger bottle sizes because I do think that 0.18 fl oz. is a bit small for a favorite polish, but oh well. Anyway, let's take a look, shall we? Hello, all! 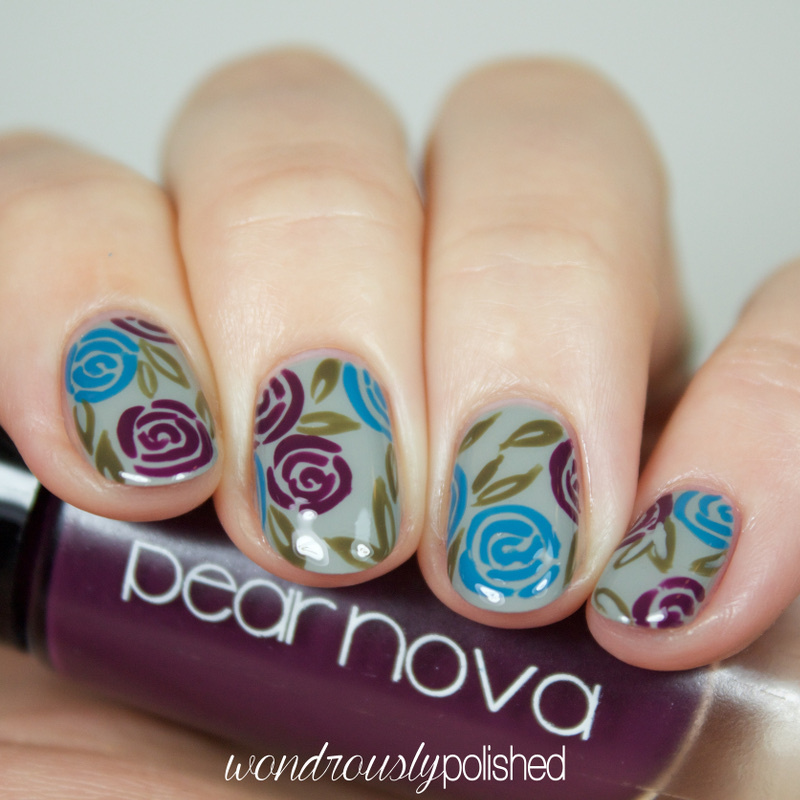 I've got a review of a new to me brand called Pear Nova to share with you today! They have a nice selection of creme polishes available in their line (which makes this girl HAPPY since I love my creme polishes oh so much), and they are 3 Free. So far I'm very impressed with the formula and pigmentation of the four fall polishes I have to share today. Hello all! I know it's winter, but that doesn't mean we can't still enjoy some fantastic pastel shades ;) I have lots of new goodies to share over the next few days from my favorite polish retailer, Live Love Polish and today I'm sharing swatches of some Models Own polishes! 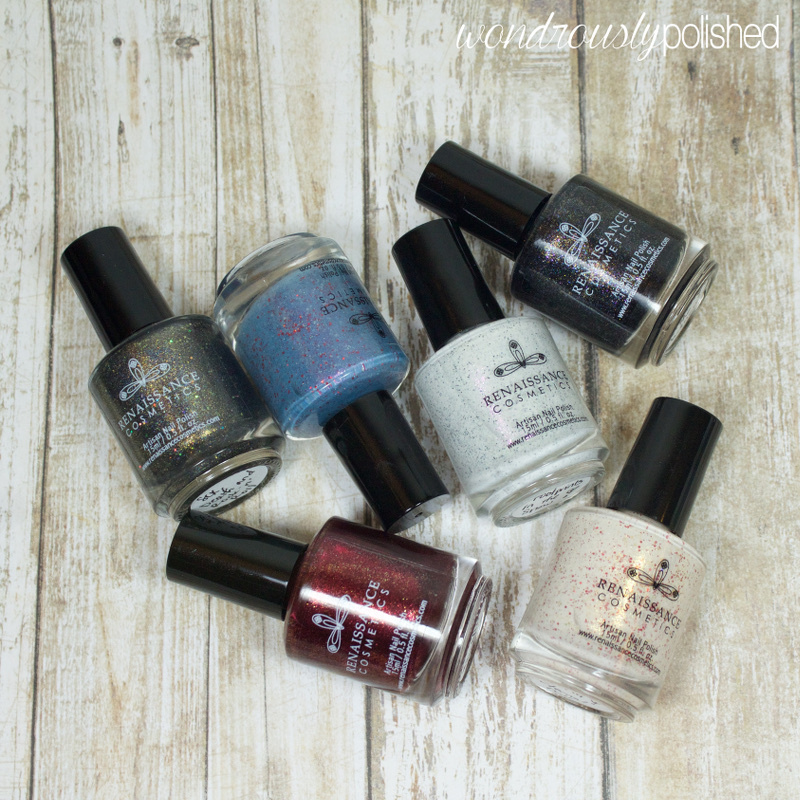 Live Love Polish has an amazing selection that is growing daily (including some indie brands which I seriously love and respect). They also offer free shipping on orders over $20 (International orders ship free for orders over $100). If you've got a polish lover on your holiday gift list, be sure to check out the shipping times to be sure you get your items in time for whatever holidays you celebrate! 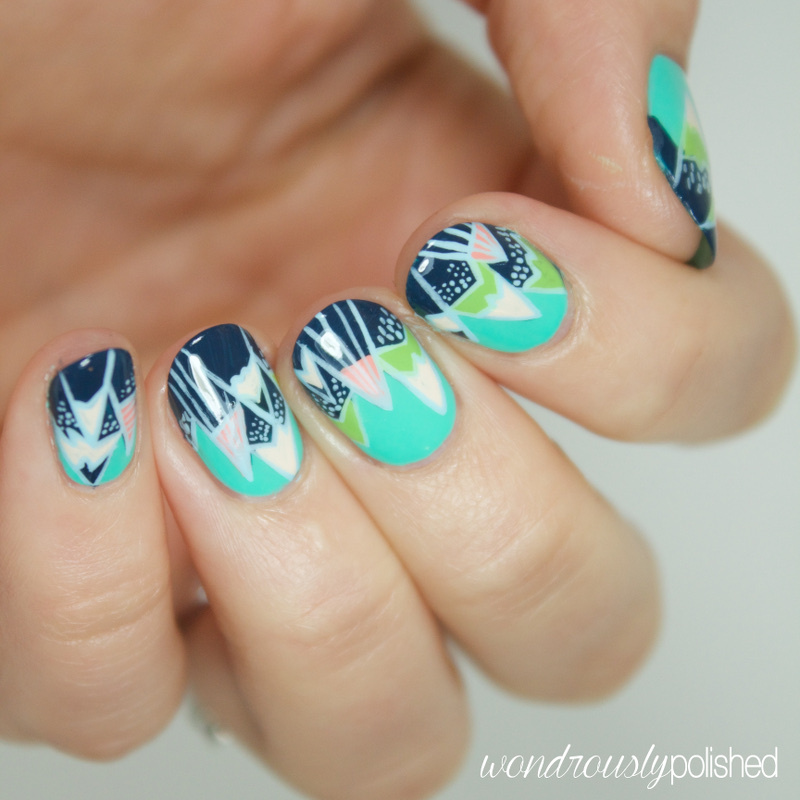 Anyway, let's take a look at these delicious shades...and the nail art I've done as well! Hello, all! I've got swatches of the amazing new Modern Vamp collection from Renaissance Cosmetics to share today and wow are they stunning. I always enjoy Renaissance polishes, but I have to say, this collection (as well as the Anniversary collection) is one of my favorite sets of polishes to date. As I'm sure you guessed, this collection is inspired by Meghan's favorite modern vampires from TV shows and movies. While I only know who a few of the inspiration vampires are, I am in awe of how well each polish reflects it's model. 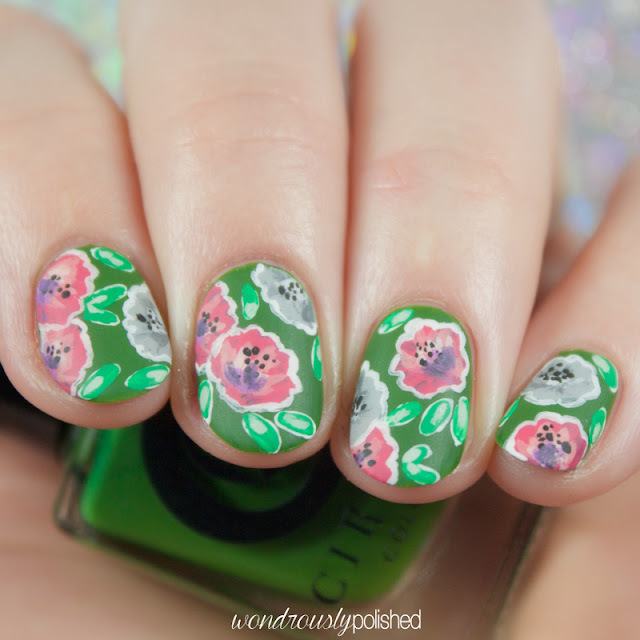 If you head to the Renaissance Instagram page you can see the inspiration photos along with their respective polishes. Hello, all! 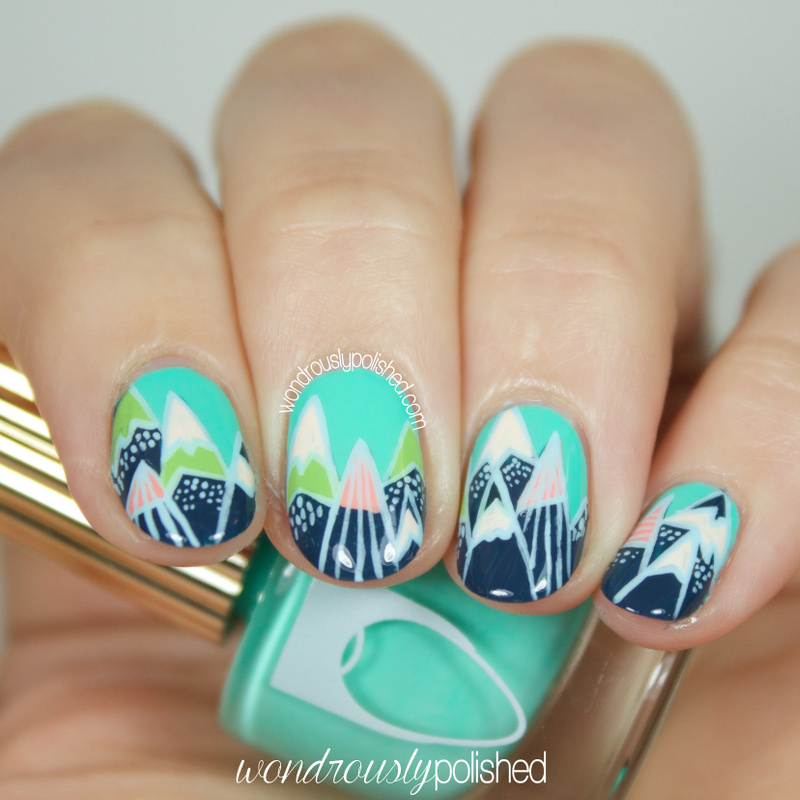 Today I have some beautiful polishes to share with you from Powder Perfect! 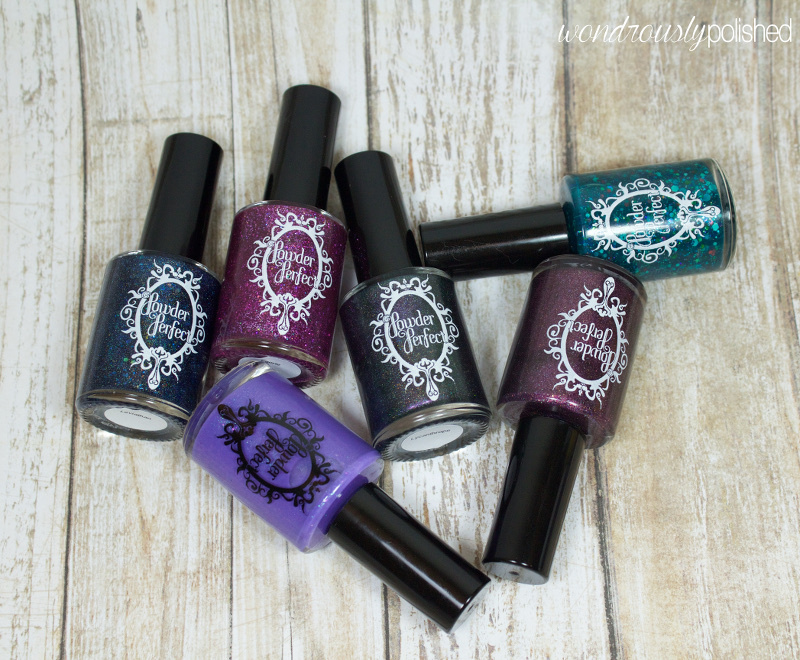 I've been drooling over Jacinta's polishes for so long so I'm beyond thrilled to get to try these stunners from the new Mysterium Magnum collection out and share them with you today. Something within me remembers and cannot forget. When legends stalked through the mist on the moor. When immortals were within the reach of our fingertips. When imagination was as strong as any force in the world. Hello, all! We've made it to the end of yet another Digital Dozen week and I have to say, on the whole, I've really liked what I managed to come up with this week! I'm also proud of myself for staying on track with the challenge and getting my posts up on time (I've struggled with this in the past!). 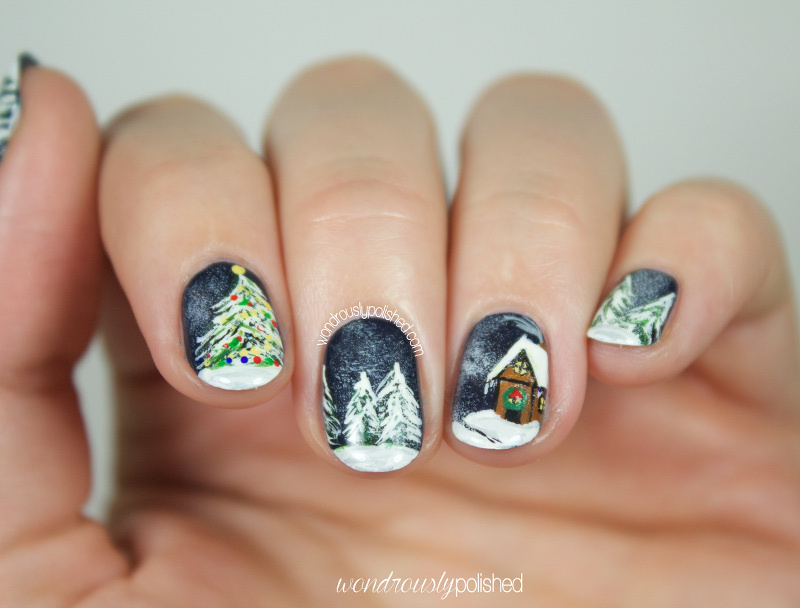 For my final day, I've gone for something a bit more cutesy than my usual manis. I'm sure I am not in the minority when I say that one of my bucket list items is to see the Aurora Borealis (or Northern Lights) in person some day. 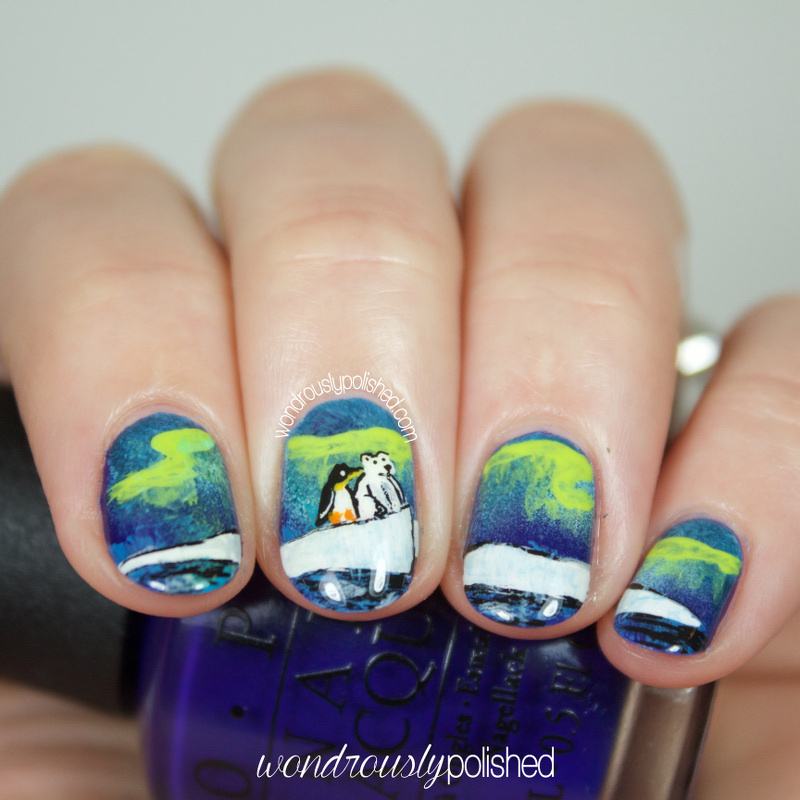 Around this time last year I painted my first take on the Northern Lights, and when I saw this adorable painting on Pinterest, the idea of doing another (cuter) take on them would be perfect for Winter Wonderland. Hello, all! We're moving right along with Digital Dozen week, and though my work week seems to be dragging on forever, DD week is flying by! I'm really excited to have kept up with the challenge so far this month and I've really enjoyed what I've managed to create so far (as well as what all the other ladies have come up with!). Hello, all! 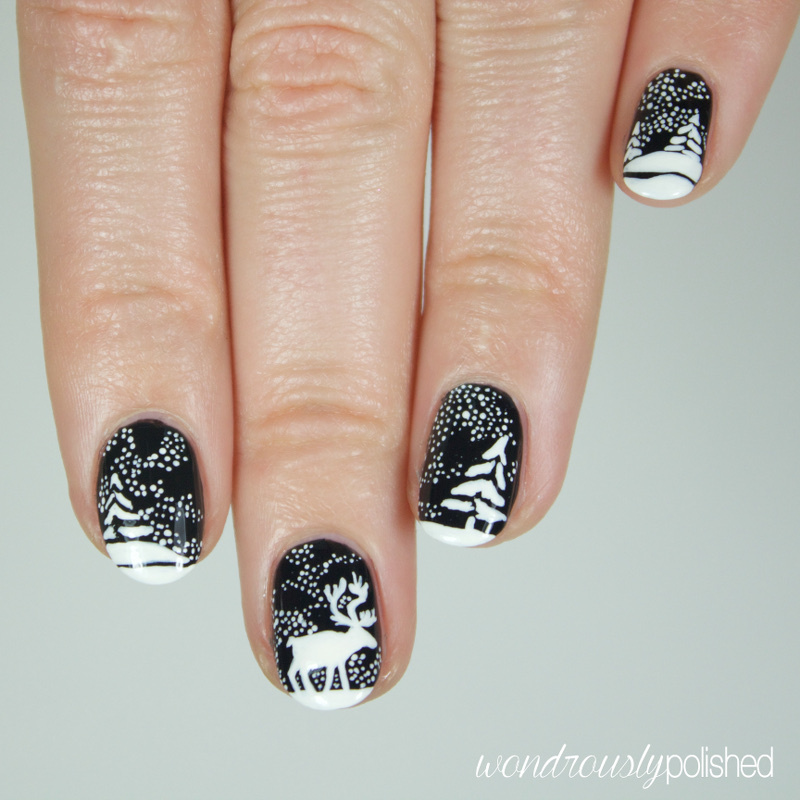 Day 2 of the Digital Dozen does Winter Wonderland is here and I've got some black and white, stamp inspired nails to share with you! When I say stamp inspired, I mean a rubber stamp that you might use with an ink pad to gussy up any number of paper products. 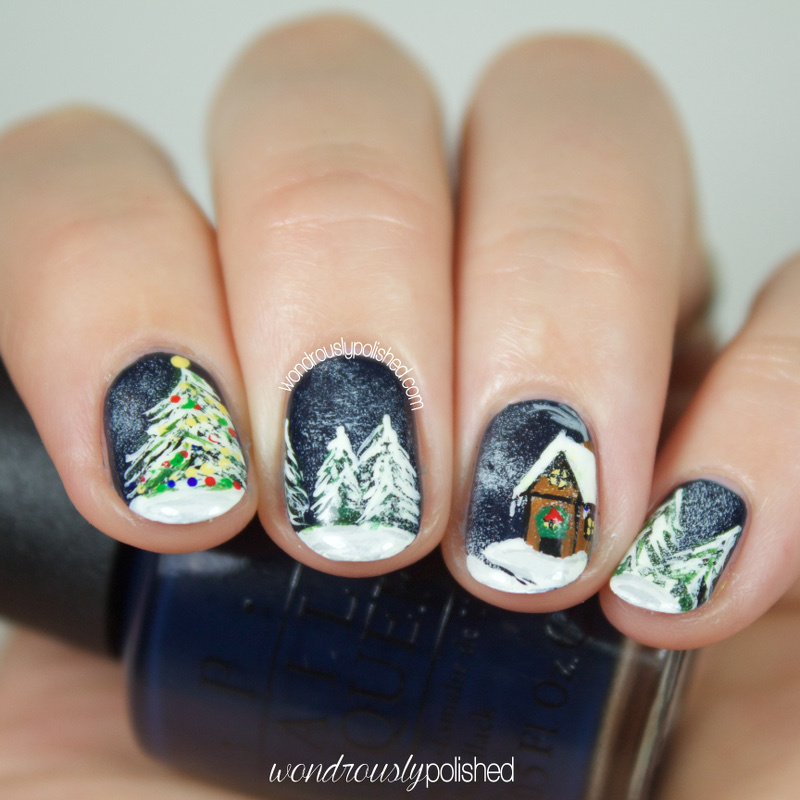 In my search for winter wonderland-esque things to be inspired by, I came across this pin on Pinterest. Usually, when you see silhouettes like this, the colors are inverse of this (a white background with black silhouettes), so I was immediately drawn to how striking this image was. And then I realized it was the inverse of a rubber stamp and got very excited by the prospect of creating something like it! Hello, all! 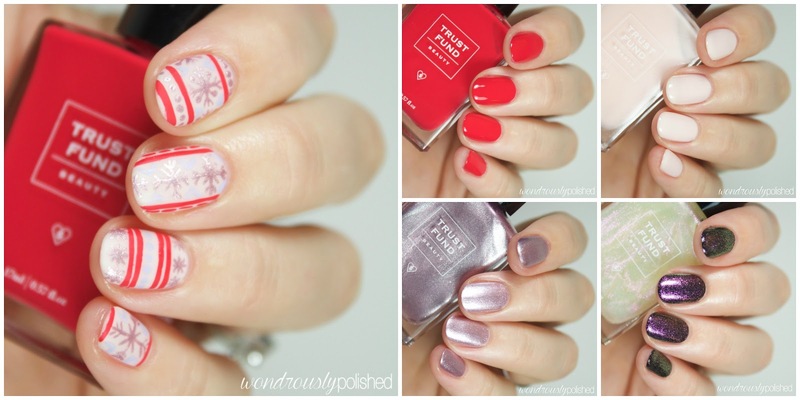 I've got a selection of polishes from Trust Fund Beauty to share with you today! Trust Fund is a relatively new to me brand (I've been following their Instagram for tongue and cheek humor and pretty polish photos for awhile now), but I'm really liking their products. For those who don't know the brand, they are all about women being able to add a little bit of glamour, sophistication and sass to their look. 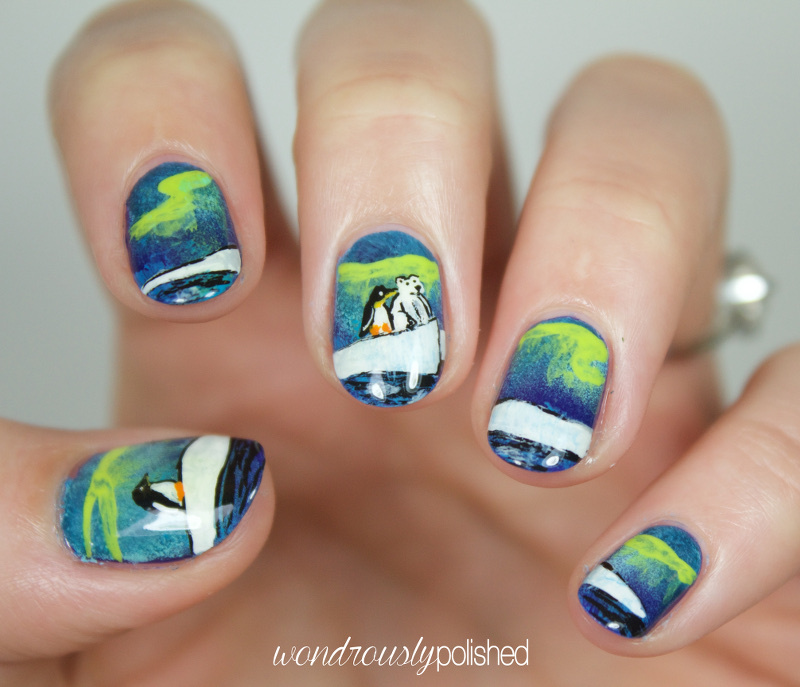 While their polish names may be a bit in your face, I find them refreshing and humorous. They are also non-toxic and cruelty free so it's safe to say that I'm totally smitten with this company! Hello, all! Today marks the start of another Digital Dozen week and since I wasn't able to partake last month, I'm really excited to be back for December's theme of Winter Wonderland! On top of that, I have officially been a member of the Digital Dozen for a year now!...well, my anniversary was actually last month, but we'll celebrate now! I love the ladies in this group so much and am always amazed and excited but what they manage to come up with each month. Hello, all! Hope you are having (or had) a wonderful weekend. It always seems to fly by too quickly for me! 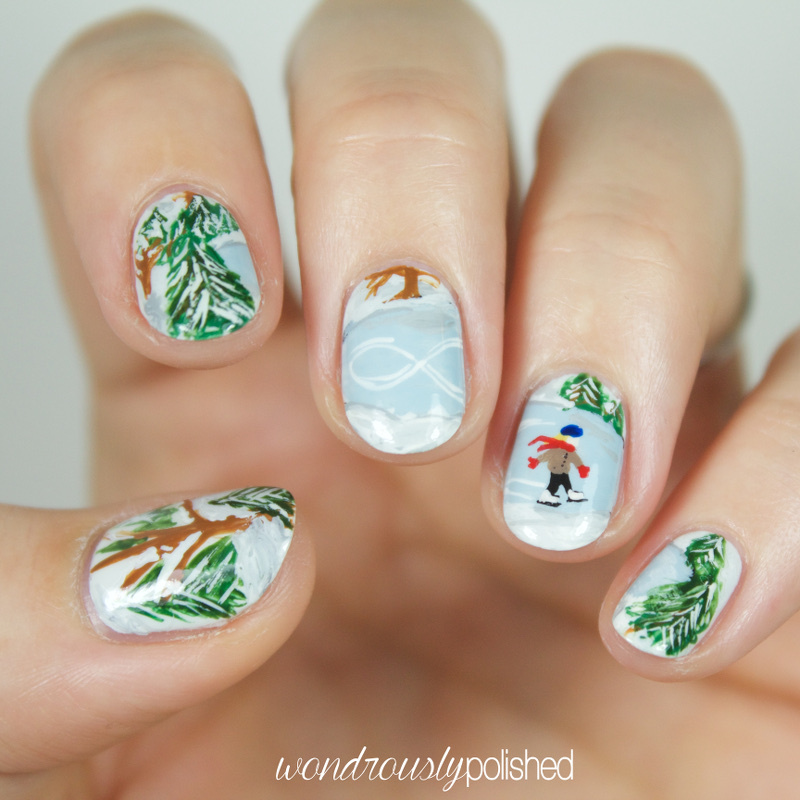 Today I'm getting back into the swing of things with the 31 Day Challenge 2.0 that I'm doing with Will Paint Nails for Food and The Nail Polish Challenge (yes, we took about a two month hiatus...oops!). 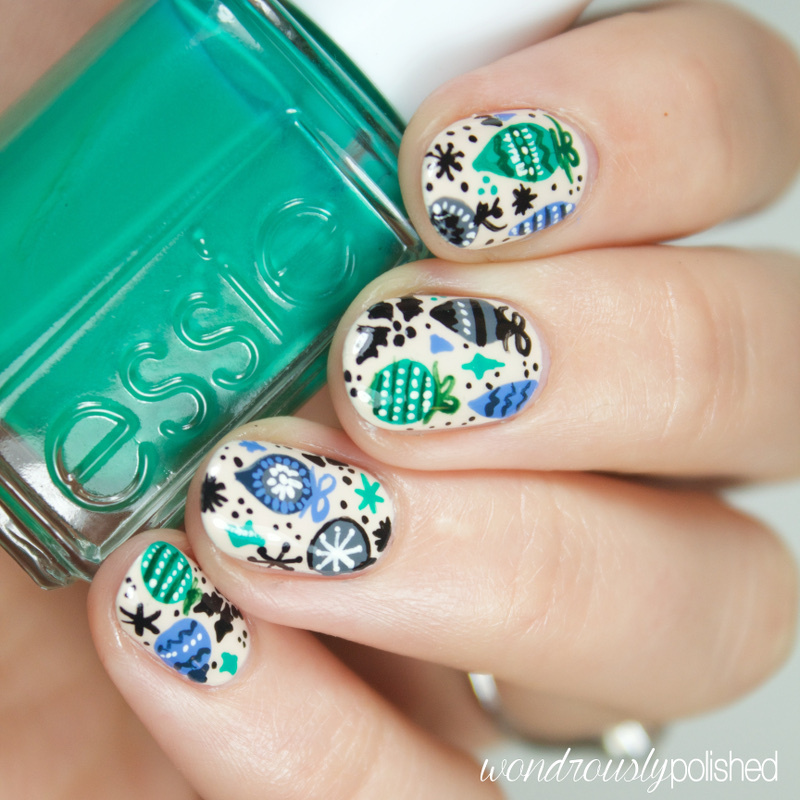 Today's mani is for the day 12 theme, intricate nails! Hello, all! 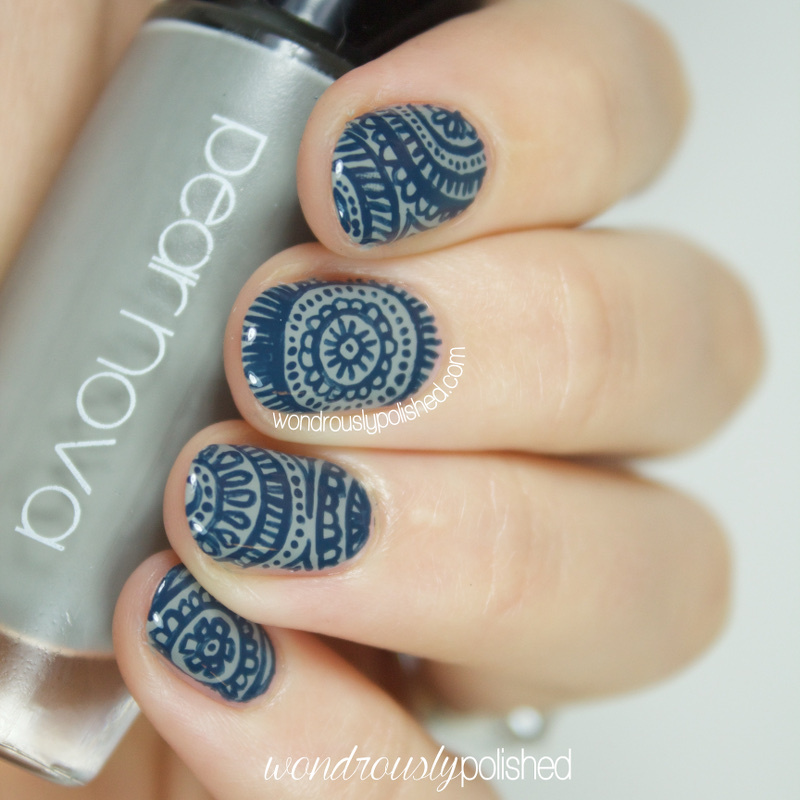 It's time for another week with The Beauty Buffs! 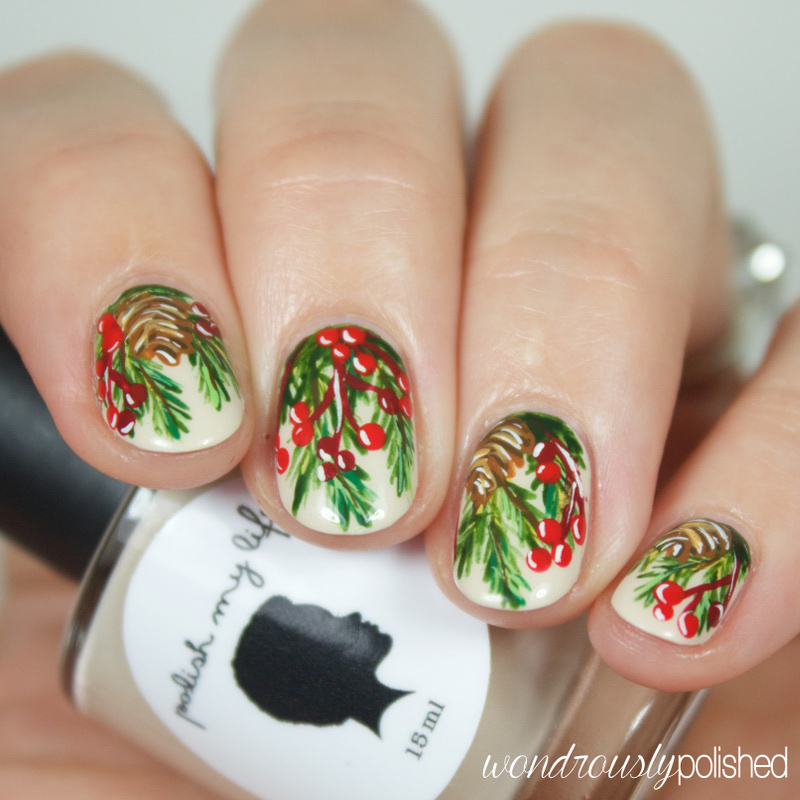 As it's now December, it is fitting for us to take on our first set of Holiday themed looks so for today, I'm showing my take on one of my favorite parts of the holiday seasons - decorating! Now, there are many (MANY) ways in which to decorate for this time of year, but my focus is on that very important pine tree, the Christmas tree! Nothing gets me in the mood for this time of year quite like getting the Christmas tree decorated. I especially love the smell of a real pine tree in the house during Christmas. 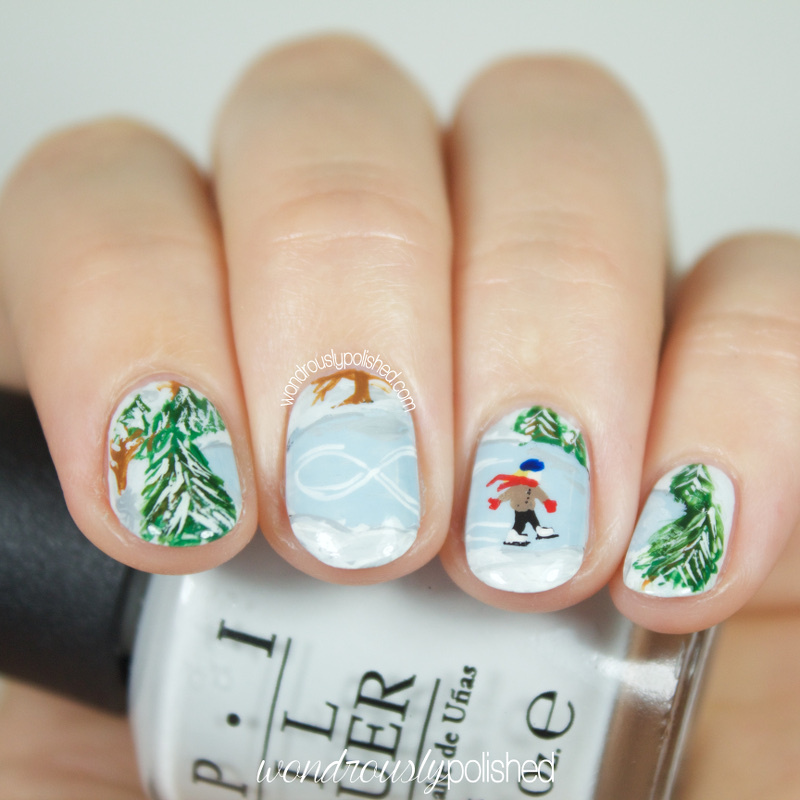 It's one of the things I miss most about having a fake tree...so for today, I figured I would paint a little homage to the pine tree! Hello, all! 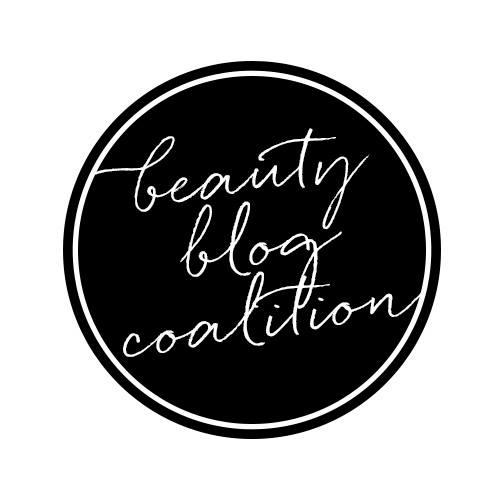 Today I've got a big post to share! 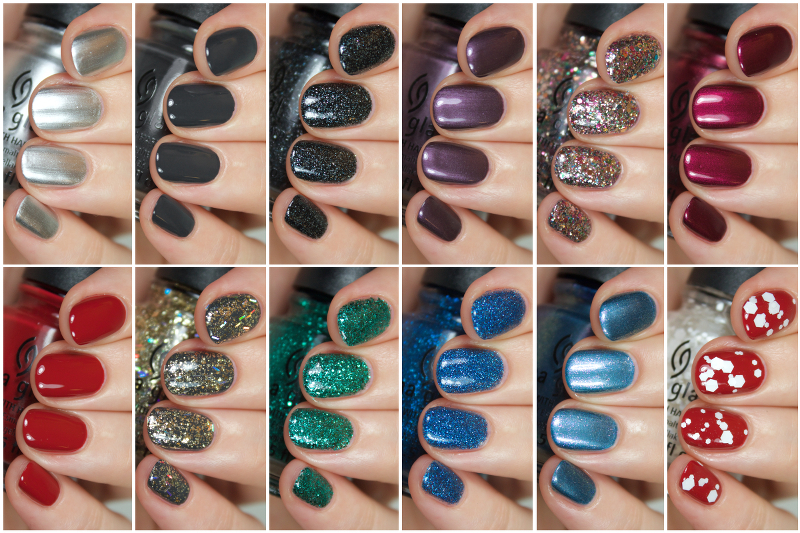 I have swatches of China Glaze's Twinkle collection to share with you! I'm absolutely in love with this set of polishes. I think they all work really well individually, as well as grouped together as a holiday collection. 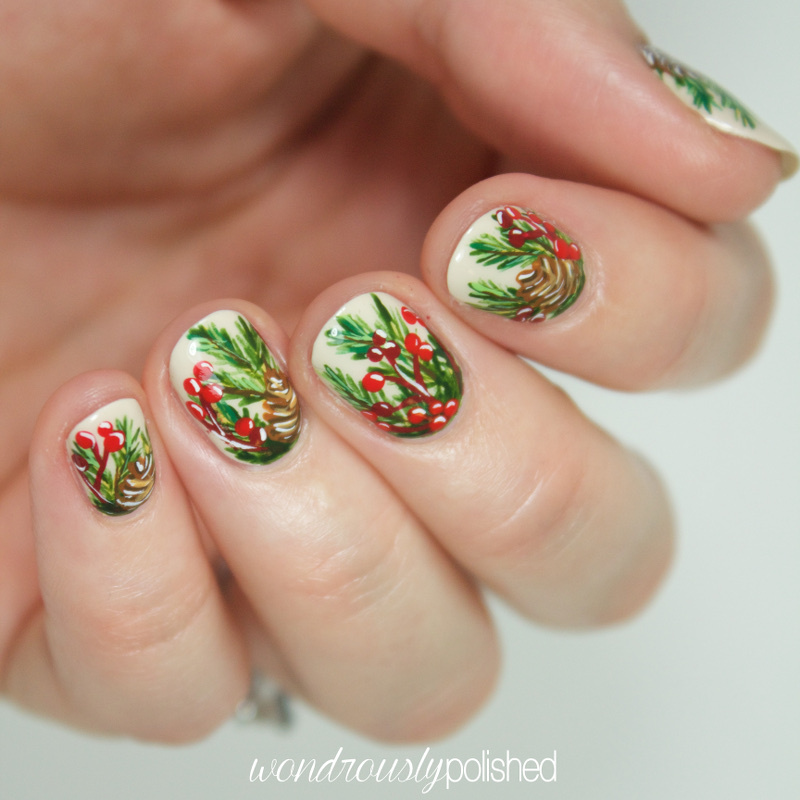 While the creme lover in me wishes there were more than two of that finish, the rest of these polishes are stunning in their own right and I think this might be one of my favorite holiday collections to date. Let's take a look!